This stylishly modern GET SW-1448-1-CL L7 5 oz. 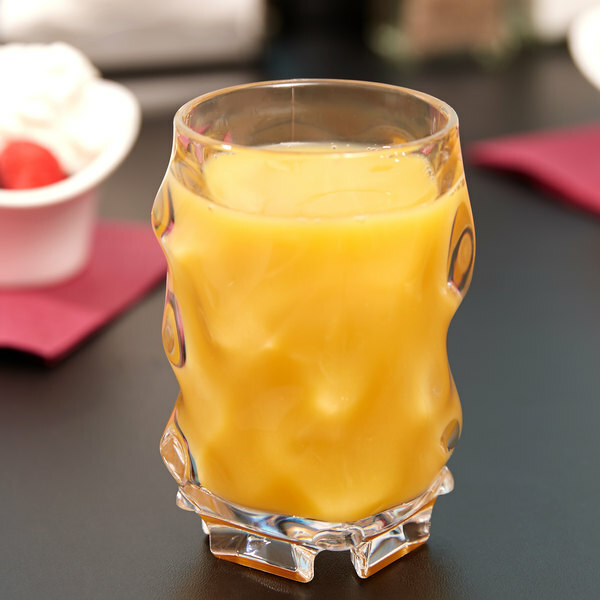 tumbler is perfect for any bar, juice bar, restaurant, or retirement community. Combining the look and feel of glass with the functionality of durable, break-resistant SAN plastic, this stunning tumbler can be stacked with others in its set for easy storage! 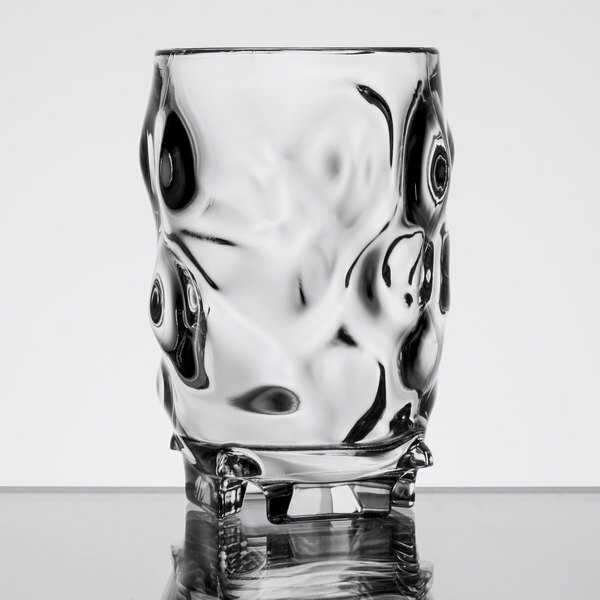 The rocky texture gives the tumbler a striking, one-of-a-kind look but also makes it easy to handle - a big advantage for those with limited strength and mobility. 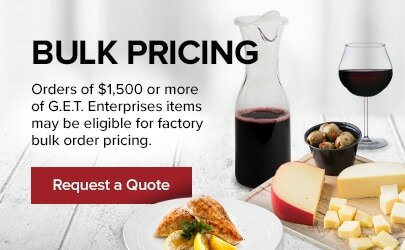 Fill the GET SW-1448-1-CL L7 5 oz. tumbler with water, juice, punch, cider, milk or ginger ale.